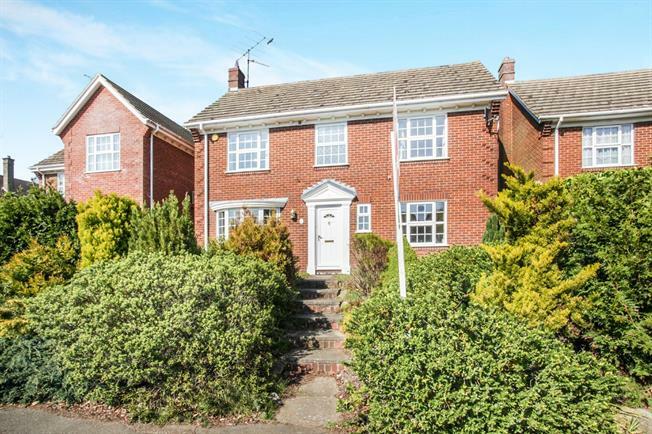 4 Bedroom Detached House For Sale in Bedford for Asking Price £475,000. DOUBLE GARAGE ENSUITE A well presented four bedroom detached family home located in the heart of the picturesque village of Maulden. Accommodation briefly comprises of entrance hall, downstairs cloakroom, dining room, kitchen and a double aspect lounge. First floor comprises of master bedroom with ensuite, three more bedrooms and a family bathroom. Further benefits include double garage, off road parking and the added bonus of no upper chain! Window to front aspect and doors leading onto garden. Fitted to comprise of wall and base units with roll top work surfaces over, sink and drainer, space for oven, space for fridge/freezer and window and door to rear aspect. Window to front aspect and door to ensuite. Shower enclosure and wash hand basin. Fitted to comprise of three piece suite with panelled bath, wash hand basin and low level WC, tiling to splash back areas and window to front aspect. Mainly laid to lawn with patio area, path leading to driveway and garage to rear of property.